The Synchro Forma is a professional cross trainer that allows you to trainer your whole body, upper and the lower. It has two platforms and two types of levers, fixed and moving, offering you the option to train only the lower body or the entire body. The Synchro Forma movement provides a low impact on the knees and ankle joints and resembles to that of a cross-country skiing. Its ergonomic platform makes it comfortable to use and make no noise while operating. Its large LCD screen, along with entertainment package make your workout more enjoyable. The latest cost of Technogym Synchro Forma Cross Trainer will be updated soon. *Note: Most of the sites, stores or shopping portals listed above sell Technogym Synchro Forma Cross Trainer with discounts and other exciting offers. There is a possibility that the some of above websites are not selling Technogym Synchro Forma Cross Trainer now. Toughtrain.com is not liable for such cases or instances. 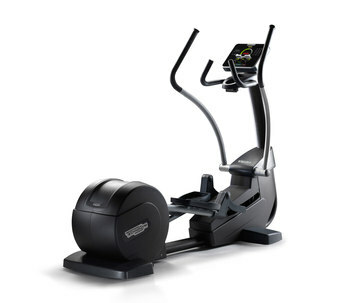 Also we do not recommend any seller for Technogym Synchro Forma Cross Trainer and a buyer should buy from where he/she gets best deal with quality of products, service and on time delivery (shipment).